One after another, it was the month of birthday celebrations. Finally, it was mine today. And since it was mine, I don't have to do any bakings. My small celebration started last weekend at my mum's place. 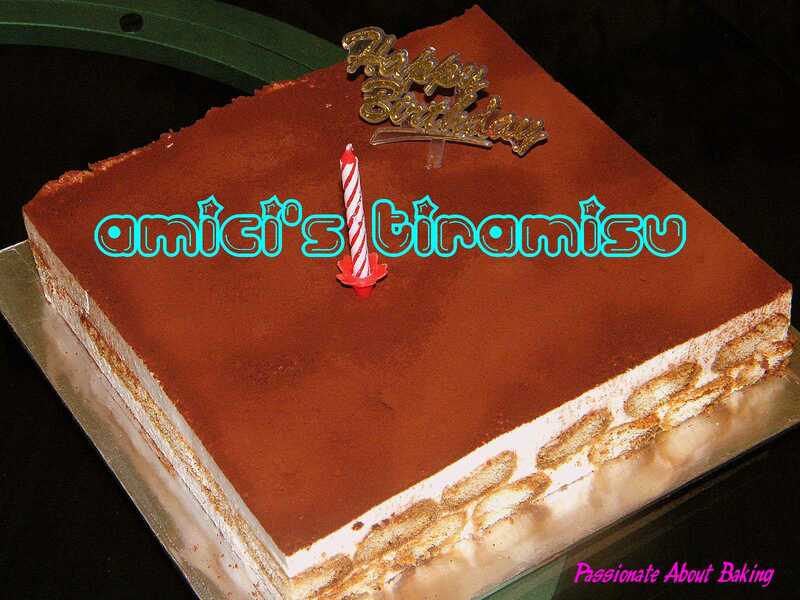 My sisters got me a Tiramisu cake from Amici's. My hubby bought me a Chocolate Marmalade Feuilletine Cake from Lavender's, Malaysia. 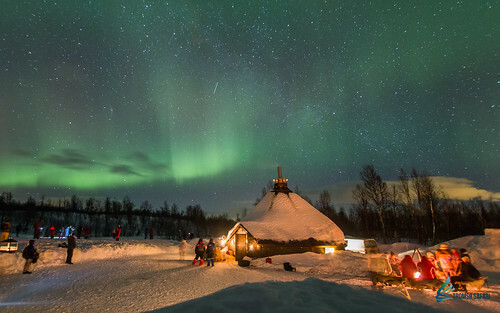 I chose it myself while we were there last Friday. 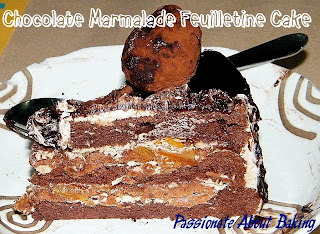 This cake was really deliciously wonderful and refreshing! 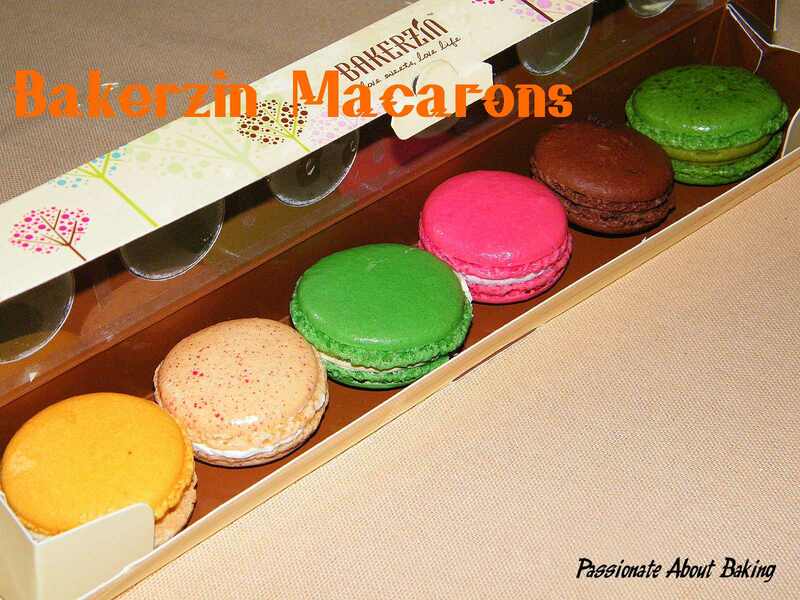 And to treat myself better, I bought myself a set of macarons from Bakerzin and finished it all at one go! Hahaha... That's the only time when I can get such privileges and indulgences! Finally, my sister was kind enough to spend a day with me today. We had some retail therapy. Thanks to my wonderful sister. I also want to thank all my friends who took the time to drop me a message and wish me. Thank you!! 谢谢!! Terima Kasih! HAPPY BIRTHDAY TO YOU!! Jealous, jealous ... Hahaha! You received so many sweet treats on your big day! Those macarons are driving me nuts! Btw, thank you so much for the encouragement you've been giving me all the while! You know, all your words have made my day, especially after coming back from work. Really thank you! I really hope to meet up with you all floggers in Singapore someday! So far, have only met up with Bee Bee. Who knows, we might just have a Malaysian-Singaporean floggers' meet-up! Keep up with all your yummy foods! So nice to have more than one celebrations..:) Wonder how's mine in few months time...haha! Thank you so much for your well wishes and comments. I get so much inspirations from your blog and your write-ups. I simply enjoyed it. When you do come to Singapore, please let us know (I know Youfei definitely know it), then we can arrange a meet up session with the bloggers from Singapore. Hey buddy! You deserve all the sweet treat! I'm glad you've a good time for a few days celebration and will be continue in few days time! 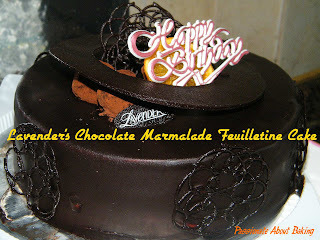 HAPPY BIRTHDAY TO YOU and may all your bakes become more and more interesting! Hi Jane, you are so lucky to have so many birthday celebrations, envy envy :p. Happy Belated Birthday! Happy Birthday Jane! You are one lucky woman to be able to have treats fit for a Queen herself on your birthday. I am so happy for you because you have such lovely people around you like your husband and sisters.They're great, fun-loving people! Oh wow two cakes? Lucky you! Thank you very much! Yes, more bakings! 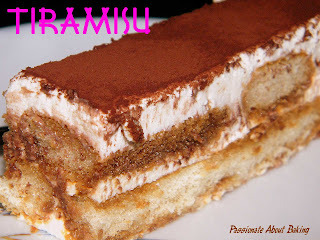 Happy belated birthday and your tiramisu looks lovely! May I ask how to unmould a tiramisu from the baking pan and still get such nice and perfect 4 sides? Thanks for your well wishes. I didn't bake this tiramisu. :p My sisters got it for me. I supposed you can use the cake ring, and use a blow-torch to remove it. Or use those thick plastic to go round the cake ring to facilitate the ease of removing it. I hope this might help.